Geoff George one of the longest serving staff members will next month run the Guernsey Marathon for the GSPCA. Geoff is the GSPCA Animal Collection Officer and works around the clock to help rescue and care for animals in Guernsey. 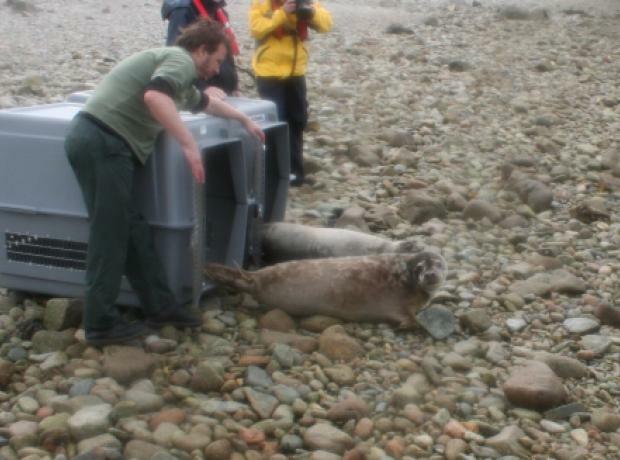 His main passion are the Grey Seals and many will remember Jethou Bumblebee and Hanois two which were rescued, cared for and released by the Shelter earlier this year.